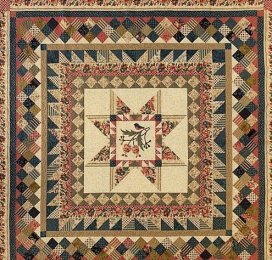 Southern Exposure, see below, is a beautiful floral collection by Laundry Basket Quilts for Moda Fabrics. It's a 6 month class starting May 9th at 6:00pm. You can choose to create your quilt from two different colorways. The Block of the Month is $25/month. Come in our shop to view the fabric or call 620.375.2044 for more information and to sign up.